It&rsquo;s the easy to operate rotary evaporator model with motor lift for all standard applications: reliable, easy to maintain. 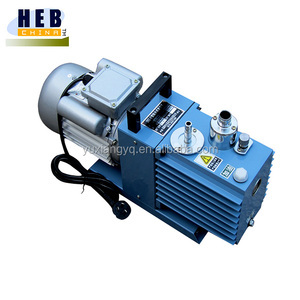 to guarantee the customer can get the machine without quality problem, custom clearance problem and delivery problem. That helps us keep constant control over product quality and allows us to store a significant inventory of products. The rotating flask continuously covers a large surface area with a thin film which is ideal for rapid heat transfer. The facility to work the unit under full vacuum further facilitates evaporation at as low temperature as possible. These features combined, renders rotary film evaporator to be ideally suited for evaporation of heat sensitive material. Well-Done Laboratory Instrument (Zhengzhou) Co., Ltd.
Weihai Global Chemical Machinery Mfg Co., Ltd.
Labfreez Instruments (Hunan) Co., Ltd.
6, Vertical three-layer snake-tube condenser with main cooling + secondary cooling double condenser and feeding tube. 8, Digital display of bath pot, intelligent temperature control, K - type sensor quickly and accurately transfer temperature. 13, The collection bottle is provided with destuffing, which is convenient for the collection and release of evaporative extract. 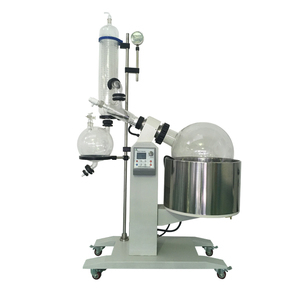 Alibaba.com offers 15,149 rotary evaporator products. About 76% of these are evaporator, 1% are refrigeration & heat exchange parts, and 1% are heat exchanger. A wide variety of rotary evaporator options are available to you, such as paid samples, free samples. 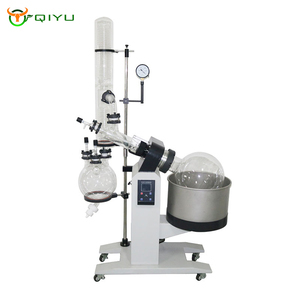 There are 15,187 rotary evaporator suppliers, mainly located in Asia. The top supplying countries are China (Mainland), India, and United States, which supply 99%, 1%, and 1% of rotary evaporator respectively. Rotary evaporator products are most popular in North America, Domestic Market, and Western Europe. You can ensure product safety by selecting from certified suppliers, including 5,894 with ISO9001, 1,690 with ISO14001, and 1,247 with Other certification.